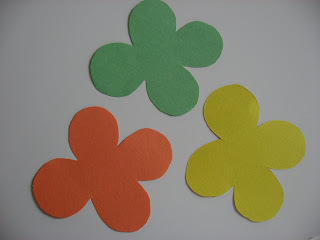 This color matching activity is perfect for preschoolers. 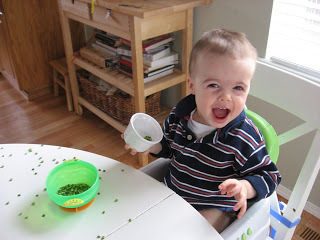 Most toddlers will try to eat the lentils (which will likely be spat out) and if you are as lucky as me, they will manage to grab the bowl full of lentils and pour them on your kitchen floor! Gather your materials. You will need a few different colors of construction paper, some glue, scissors, a pen, and of course, some dried beans or lentils. 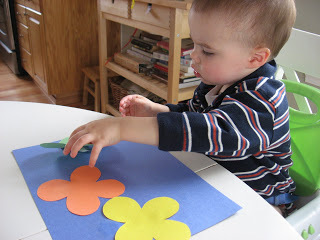 Draw a simple flower on one piece of construction paper, then layer your other pieces under it and cut them all at once. 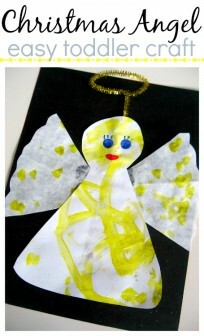 Have your child glue the flowers on a full piece of paper. 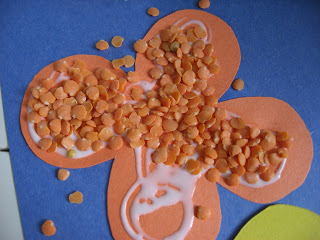 Drizzle glue all over the flowers and then add your lentils. 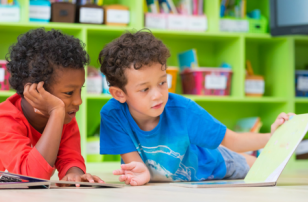 I chose to match the colors and use this activity as an opportunity to teach about colors. 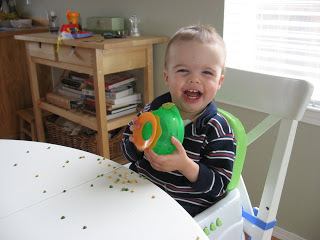 Simply allowing your child to choose which lentils or beans should go where is great, too! 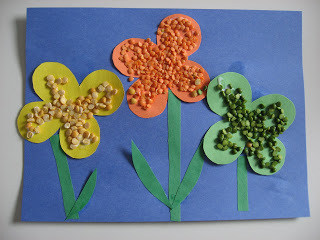 After your have finished gluing on the lentils, you can add stems and leaves or anything else you think will complete the artwork! As my son pointed out quite clearly, toddlers love to scoop and pour. 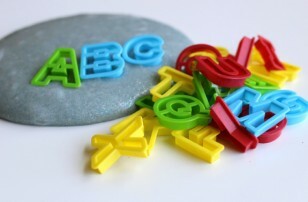 There is no reason to limit your child to the sand in the sandbox or water in the tub! I got these lentils in the bulk section of my supermarket and they are great. They are too small to be a real choking hazard and are naturally colorful. 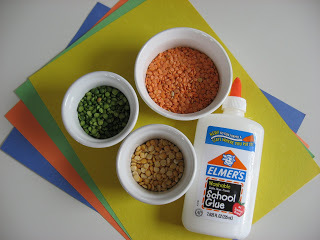 So grab a bowl and some measuring cups and then let your toddlers explore the sounds of the lentils falling from a cup and feel how smooth they are in their hands! Next Post: I’m Thankful For .. 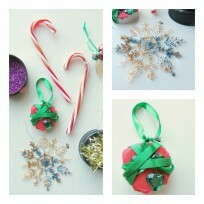 Previous Post: Send In The Crafts ! 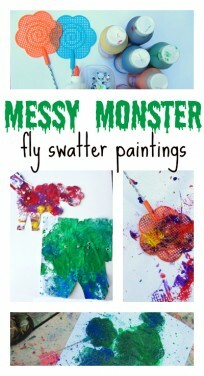 So cute–both your son and the activity. Please, I beg you, do not delete your blog for at least 5 years! I MUST find a way to save these activities for my daughter! Your little boy is lucky to have such a great mom! My daughter watched that little song about 30 times today! She gets so tickled everytime! I feature my favorite blog sites on my blog each Monday. This monday your site will be featured. I love what you do and have recommended your site to many of the families I work with. You are so hilarious! We would be great friends! I love this post, and I love the song you sang and your facial expressions are priceless in your video. I am so happy someone like you has a blog like yours. 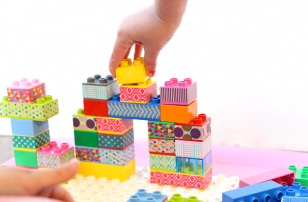 I have sat down with my kids almost every day since finding your blog and we’ve had some fun projects to do. Thanks so much! Please don’t stop! I just wish there was a way to really show my appreciation. 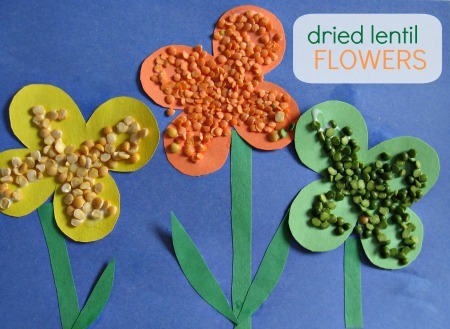 really cute i wish i could find red lentils all i have is green and brown! We played with lentils today! 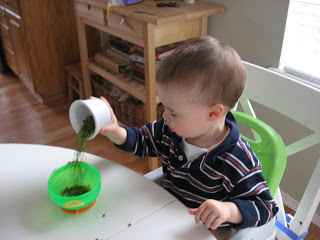 My son loved pouring them in little containers but the real treat was getting to use the dustbuster to sweep them up! I’ve put the rest in a little glad container for another rainy day. My kids LOVE that song, we sing it a lot now, thanks!! Erica- IS that a good thing or a bad thing ? I know I am sick to tears of Old McDonald, it’s my son’s favorite, it is not mine! We LOVED this activity! My daughter is 3, and she is having a blast! We did the flowers, and now we are using an old dish tub as a sensory tub and she is having a great time with it! 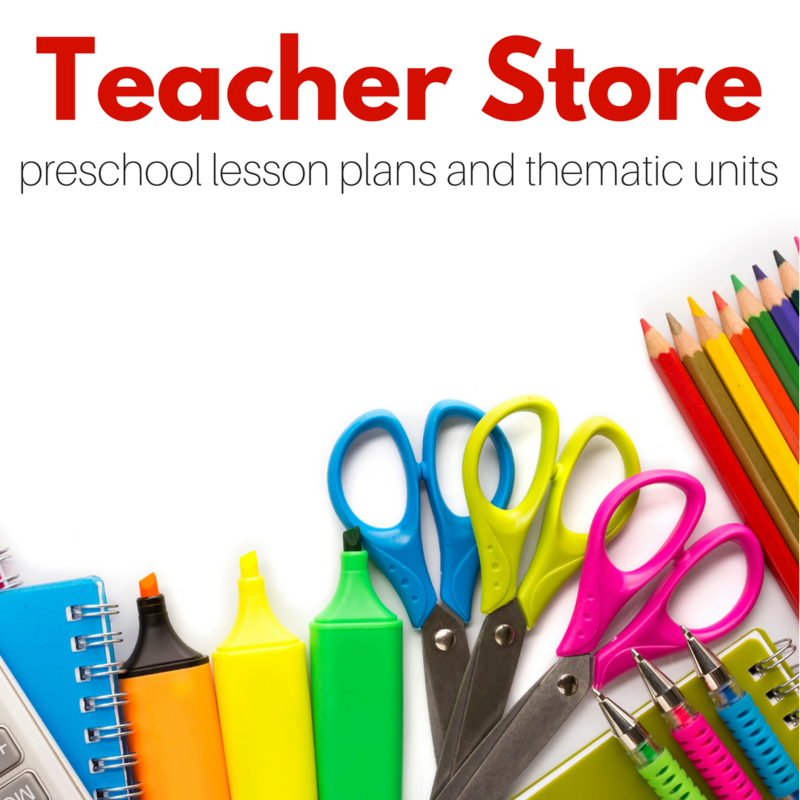 It’s been a great learning opportunity for us to introduce new words, colors and activities. Thank you for this wonderful blog!! !